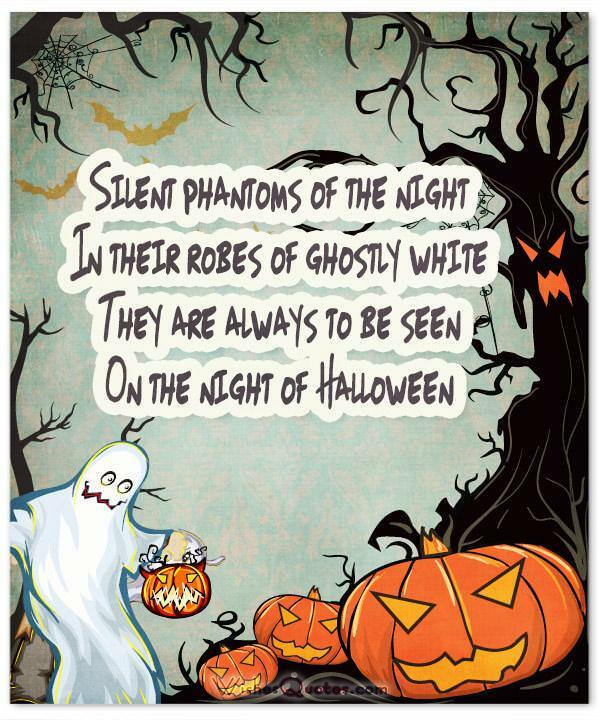 Browse the best collection of Halloween Quotes, Unique Halloween Cards, Funny Halloween Messages, Scary Poems and spice up the Halloween festive mood! The Halloween spirit is in the air, and there are pumpkins in the windows and eerie decorations on the lawns. Lots of people join in on the fun this day by wearing costumes and throwing parties. 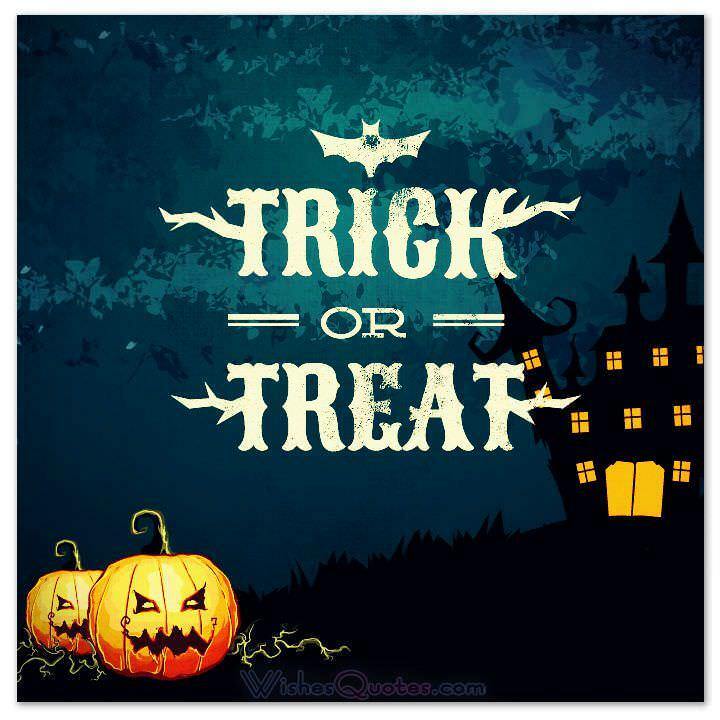 Children go from house to house to collect treats. 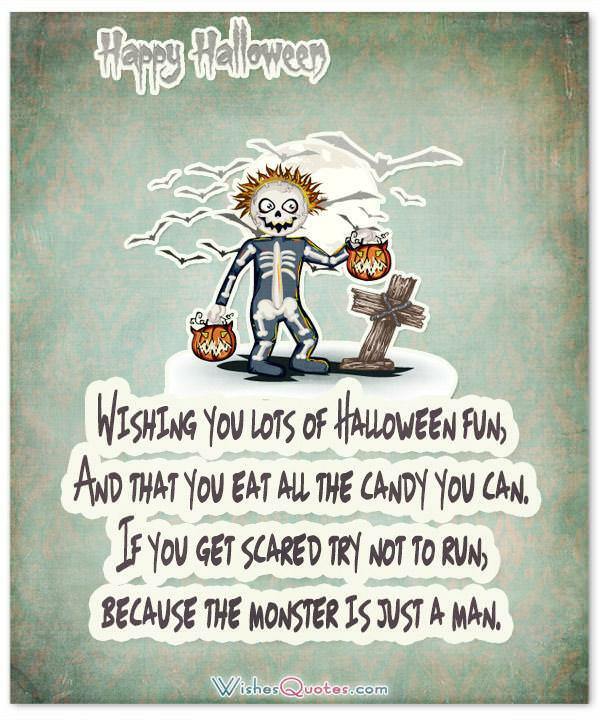 Halloween cards are exchanged by some people, so if you want to celebrate this fun holiday with an ecard and a message, let the following examples spark some ideas in your head. 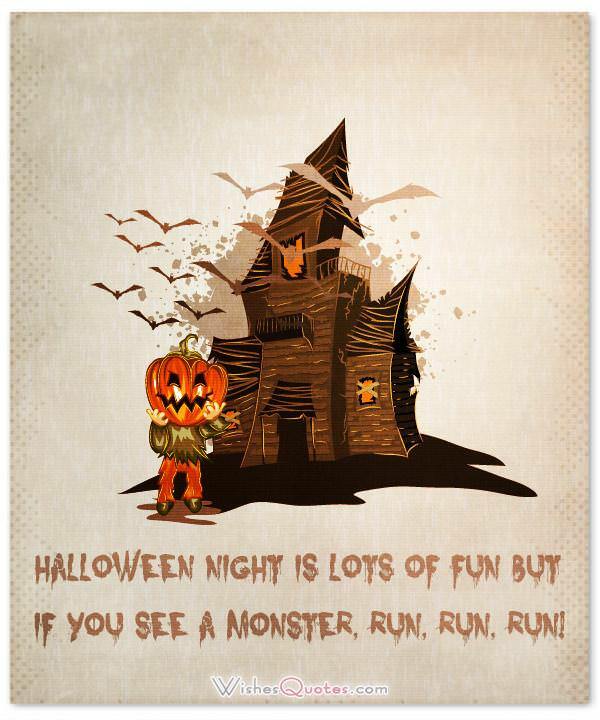 Halloween messages, whether they be serious or funny, are always a welcomed treat. Send a message on this holiday to let someone you know see you are thinking of them. Write it in a card or put it on Facebook. If you have a young child, tuck a funny Halloween message in your child’s lunch box. Let the fun begin. 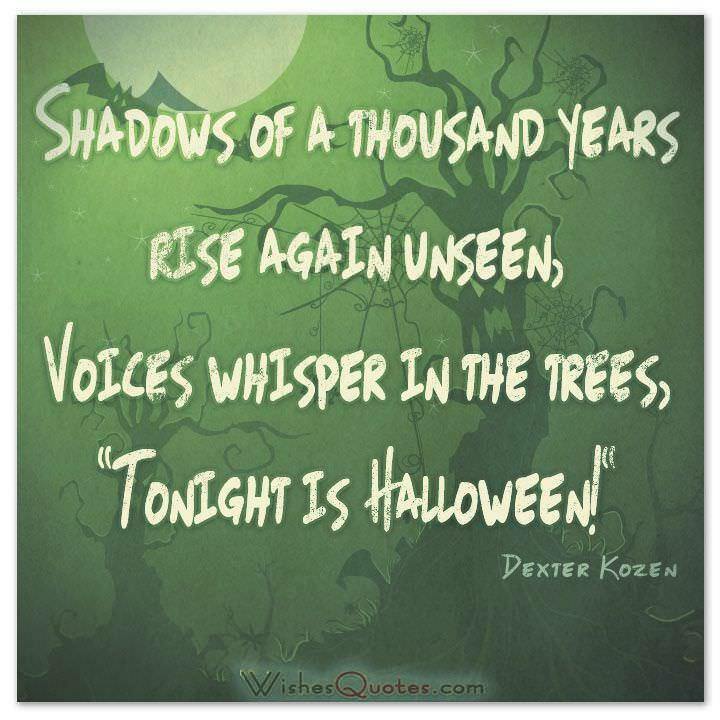 Halloween fun is soon to begin. Hope your day is incredible and full of great treats. 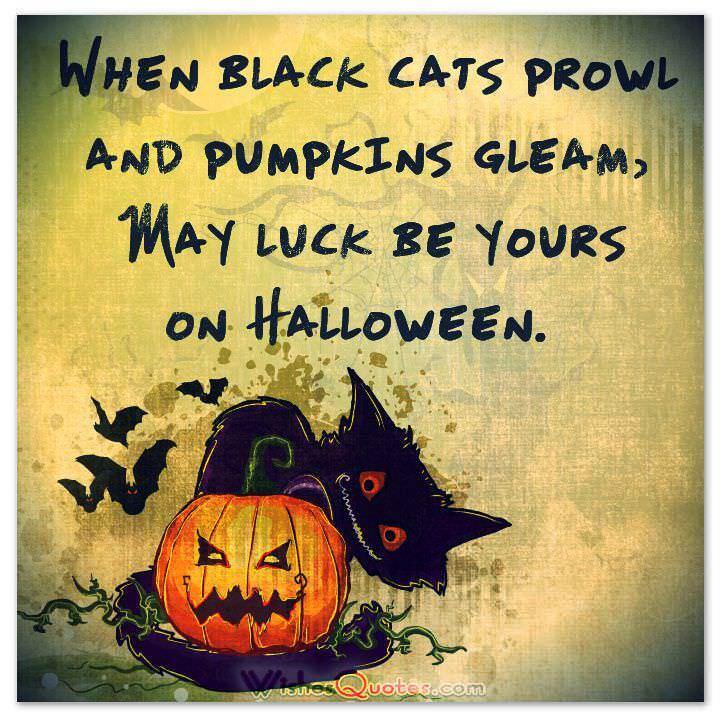 Have a bewitching night and a pleased Halloween. In my search for the scariest looking costume, I realised nothing is more frightening than the clothes you wear. Okay, you win! Sincere Halloween wishes. I heard you’d like to be Superman for Halloween. No offence, but I think you’d be better as Peter from Family Guy. 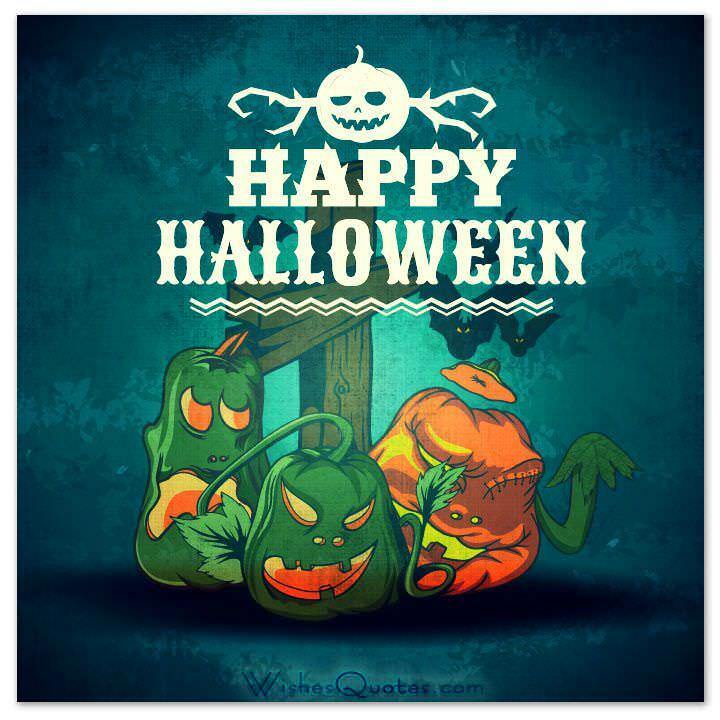 Have an enjoyable and laid back Halloween. 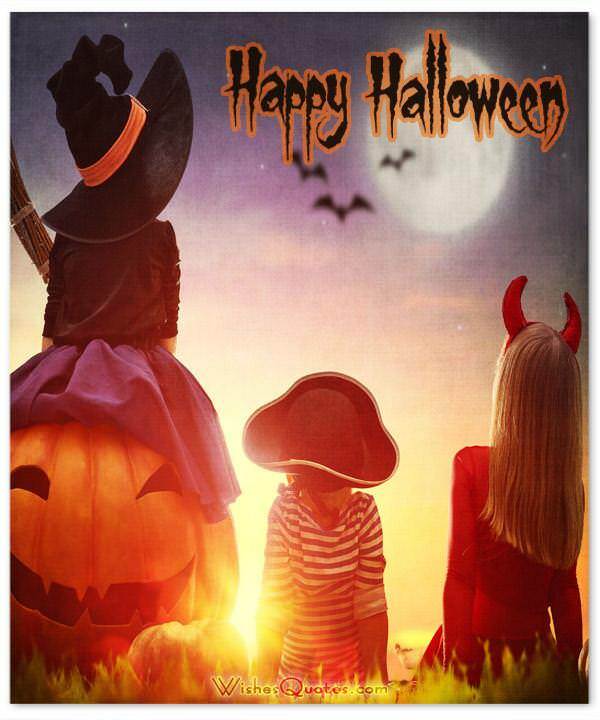 Halloween is a holiday that children of all ages can enjoy. I hope you and your inner child have loads of fun. Best Halloween wishes from someone who never wants to grow up. There’s a black cat in the window and a pumpkin on my stoop. On the lawn are a ghost and a witch. 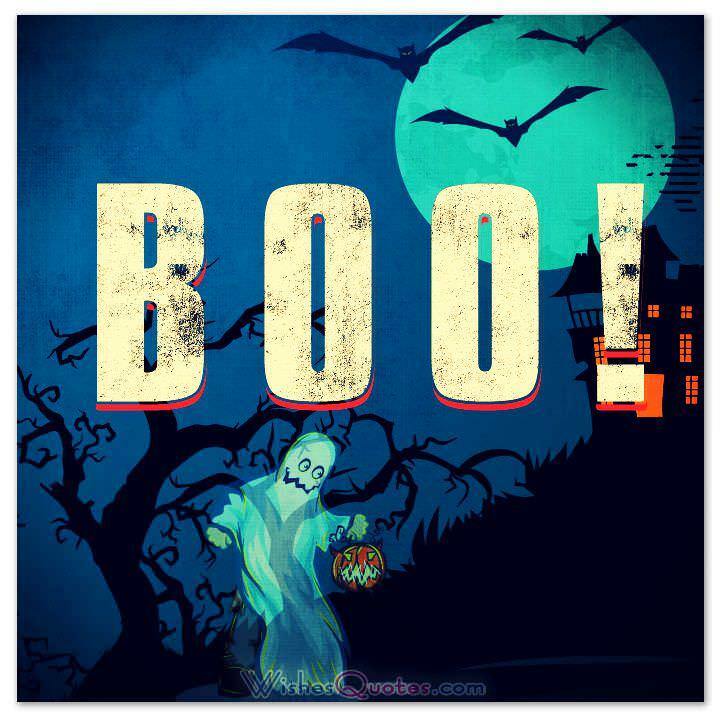 This tells me Halloween is very near, so Happy Halloween to you. 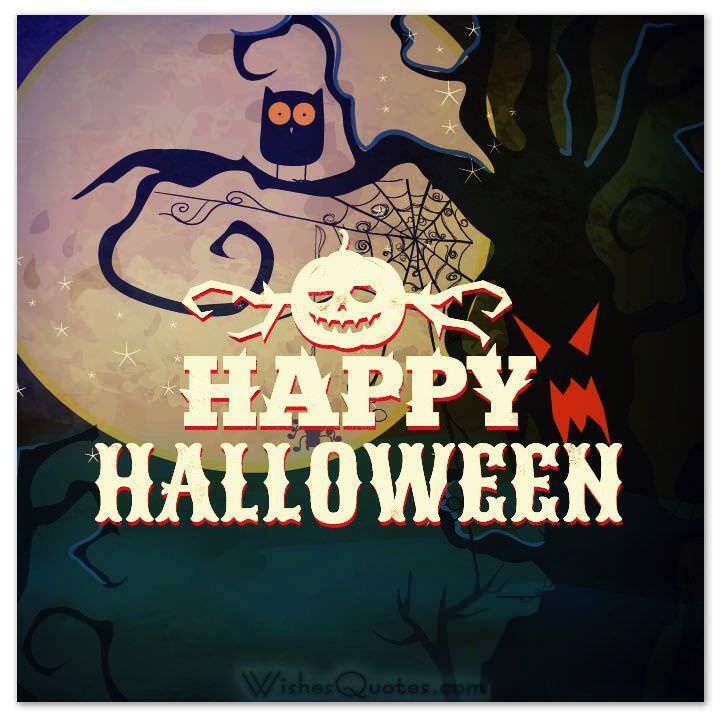 Witches and warlocks, spirits and spectres; give us some treats or prepare for some hecklers! 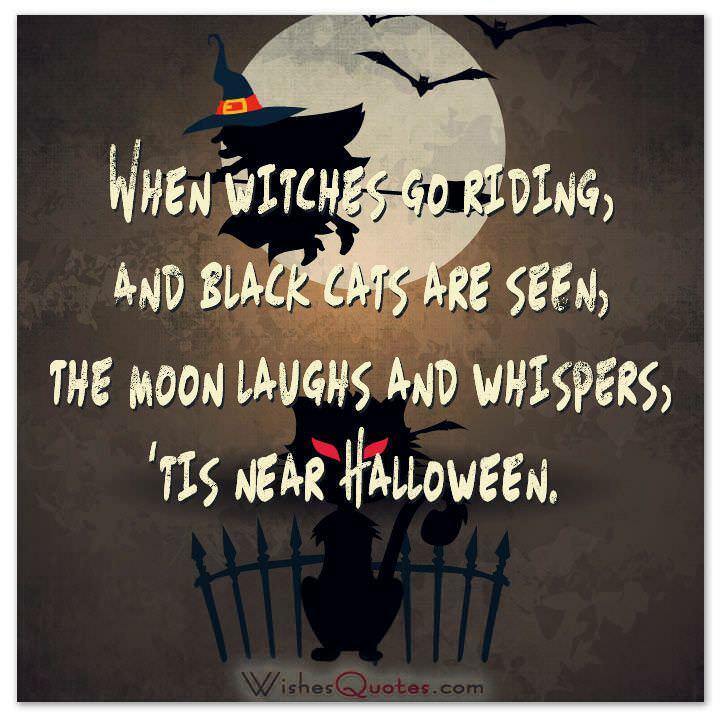 When witches go riding, and black cats are seen, the moon laughs and whispers, ’tis near Halloween. 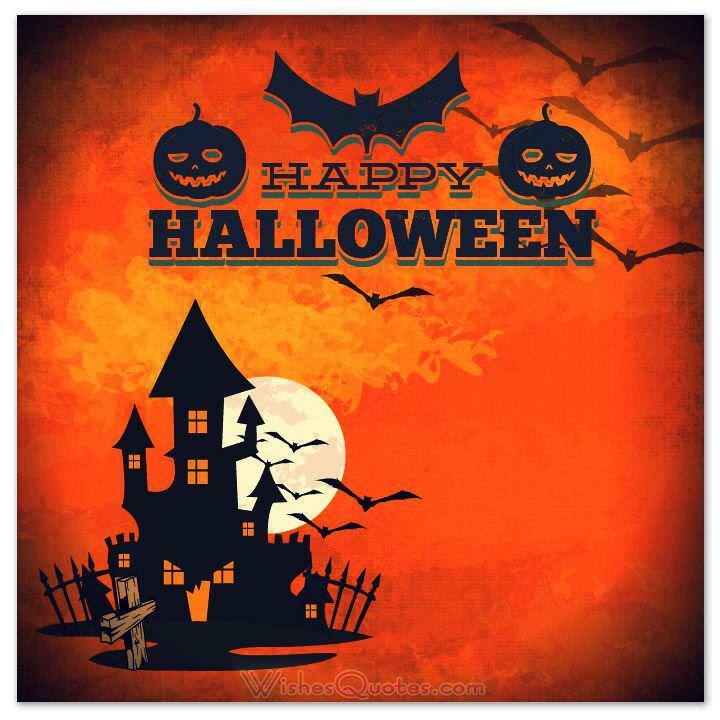 I hope you enjoy your Halloween festivities this year and carve some incredible jack-o-lanterns and create some fantastic costumes…have so much fun trick or treating! 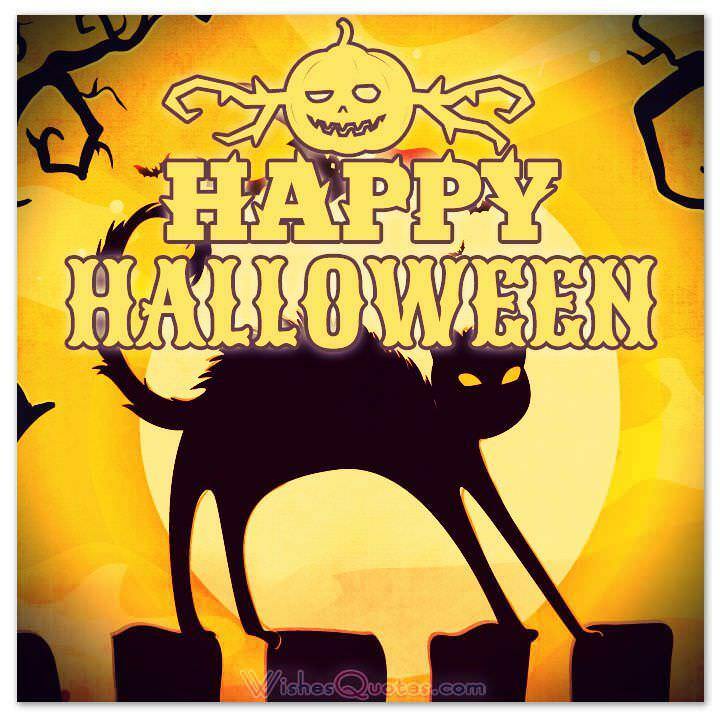 Hayrides, candy, costumes, and more…I am sure you’ll have a memorable Halloween that is sure to be a blast! 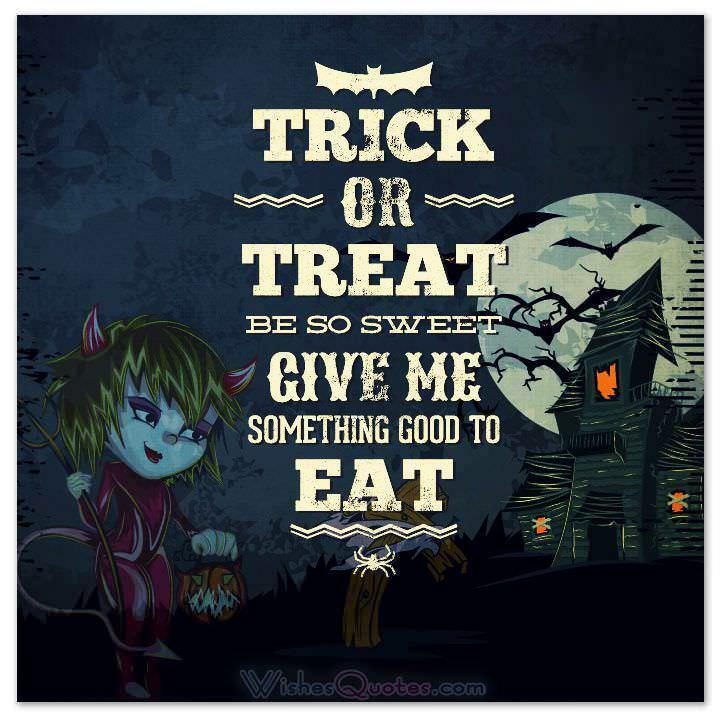 Don’t overeat candy, though…you better save some for me, too! 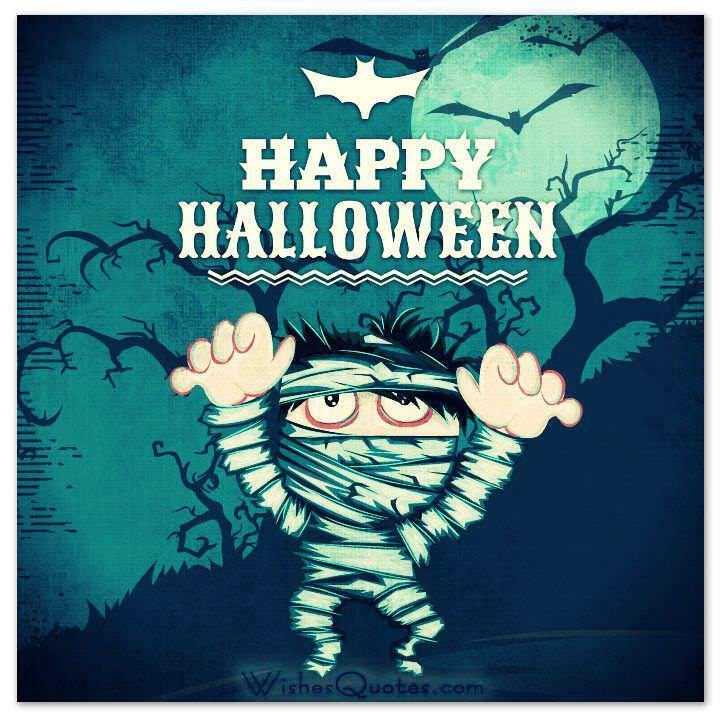 This evening is filled with such incredible fright, the type of fear that comes with a terrible bite, and when it takes over there’s only one thing to say, “Give us some candy or clean egg off your house all day!” Just kidding…Happy Halloween! 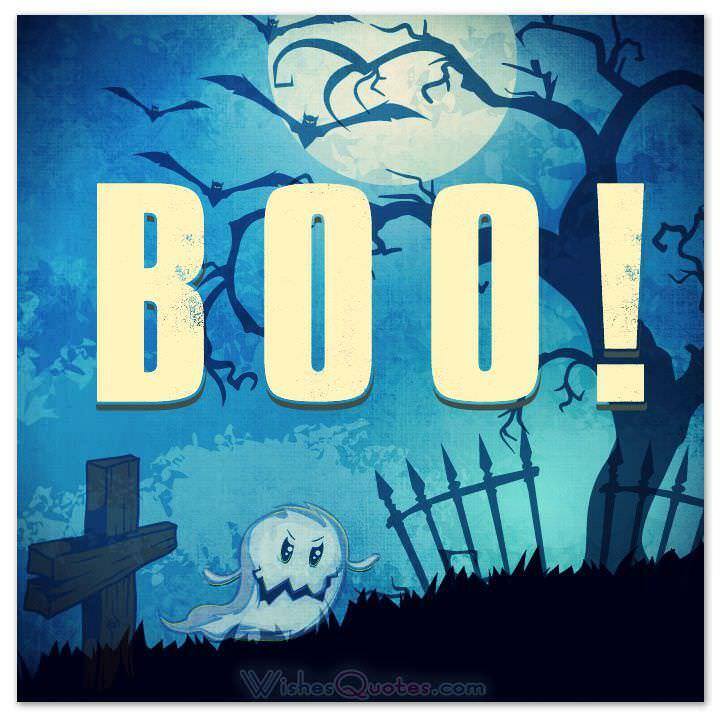 Halloween is a fun time of year filled with exciting costumes, bats yummy candy, and festive decorations. 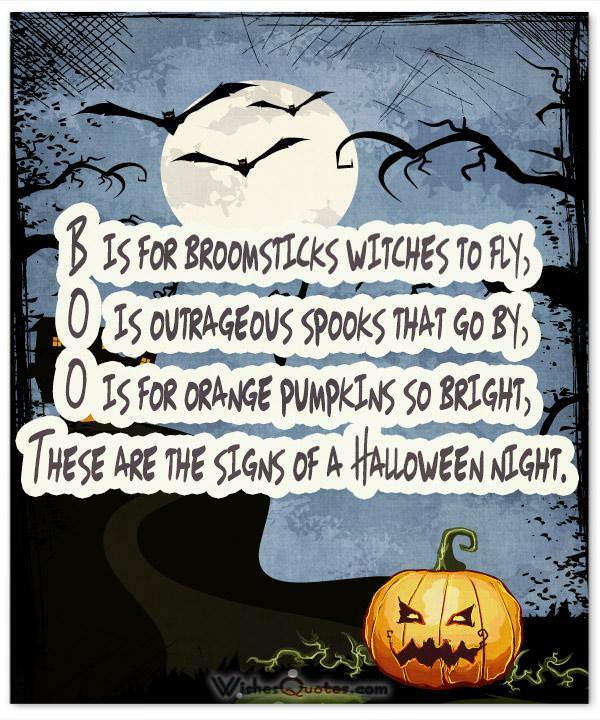 Whether you have friends that wait year round for the opportunity to don their Halloween attire and carve their jack-o-lanterns, or your buddies simply appreciate the holiday for a few good plays-on-words, here are some fun (and possibly witty) greeting cards you can share with them this Halloween season.